I doubt there is a single person in the country who isn’t painfully aware of the constant changing political and economic situation we find ourselves in since the referendum on 23 June 2016. This is naturally causing concern to all businesses who are being told to prepare for all eventualities. Unfortunately, with so much political uncertainty, planning is difficult; however, there are things that all businesses can do from an HR perspective, based on the information already available, whatever happens on 29 March 2019. Immigration and the rights of EU citizens living and working in the UK is probably the one area where we have a reasonable amount of information. EU Citizens currently living and working in the UK can apply to the EU Settlement Scheme to continue living and working here after 30 June 2021. Depending on how long an EU Citizen has been living in the UK they may be granted Settled or Pre-settled Status. Irish citizens or those who already have indefinite leave to enter or remain in the UK will not be required to do this. Settled Status will normally be approved for anyone that started living in the UK by 31 December 2020 and been here for a 5-year continuous period (‘Continuous Residence’). This doesn’t mean that the individual has not left the UK in that time but there are some guidelines on how much time they must have spent here. Settled Status is a one-time only application, i.e. once it has been awarded there is no need to apply again. For individuals who don’t have continuous residence of 5 or more years, ‘Pre-settled’ Status will normally be awarded instead. Individuals with pre-settled status can stay in the UK for a further 5 years from the date pre-settled status is given but they must apply again and get settled status in order to remain in the UK after that 5-year period. The application process for the EU Settlement Scheme will fully be open by 30 March 2019. Applications can be made now; however, they are restricted to being made on an Android smartphone app. The Home Office has announced that once the scheme fully opens the application process will be possible via any smartphone or tablet (including Apple devices), a postal service and a small number of designated offices. 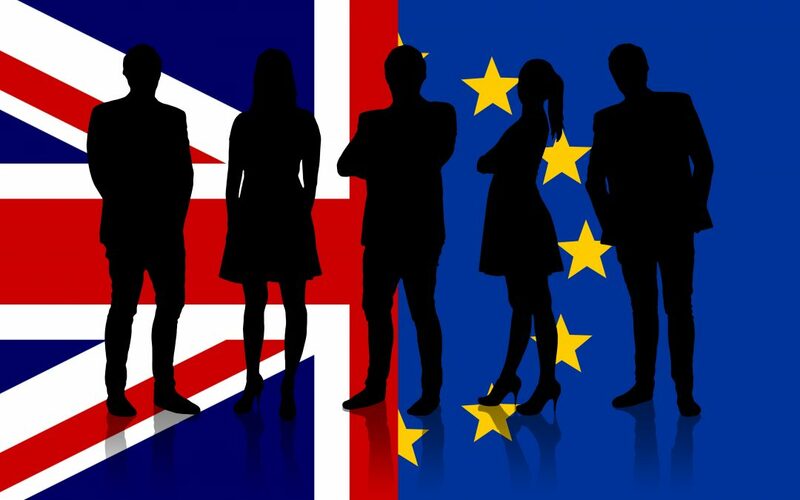 If you currently employ staff who do not hold a UK or Eire passport but hold a EU passport without an indefinite leave to remain, then to ensure that they may continue to work for you, you should encourage them to make an EU Settlement Scheme application, which is free of charge. Although the Government has been widely publicising the scheme, it would be a good idea to issue guidance to your staff as well as outline what support, if any, you will provide to them for the application process. Those with families will need to make the application for all members of the family in the UK. Although there will be a period of time to make the application, for your peace of mind, the sooner EU citizens apply for the relevant status to remain in the UK the better. These arrangements will not change, regardless of what happens on the 29 March 2019. It’s not yet clear what rules will apply to EU citizens that arrive in the UK after 29 March 2019 and we will publish more guidance on this when it becomes available. The lack of clarity around trade arrangements after 29 March is leading to concerns for those businesses which rely on imports and exports. In turn for some, this is creating uncertainty around the staff resourcing levels that may be required immediately after this date and in the medium-term. For some, they are anticipating an increased demand in staff to accommodate possible slower timeframes on imports whilst other foresee a temporary lull in requirements. There are a variety of ways that an increased demand in staff can be fulfilled including restricting or not granting holiday during this period; temporary agency staff; and/or fixed-term contracts. Whilst a temporary decrease can be achieved through short-term working; lay-offs; and/or additional unpaid time off. All of these do however require planning and communication to staff to ensure that they are implemented with as minimum long-term negative impact as possible. Please call Beststart HR to discuss your specific requirements and we would be happy to explore the options open to you to get through this uncertain time.